Gamma rays are blamed for making Bruce Banner the Incredible Hulk. But what are gamma rays and what can they really do? Gamma rays are the highest energy form of light. The rainbow of visible light that we are most familiar with is just part of a far broader spectrum of light, the electromagnetic spectrum. Past the red end of the rainbow, where wavelengths get longer, are infrared rays, microwaves and radio waves, while beyond violet lie the shorter wavelengths of ultraviolet rays, X-rays and, finally, gamma rays. A gamma ray packs at least 10,000 times more energy than a visible light ray. 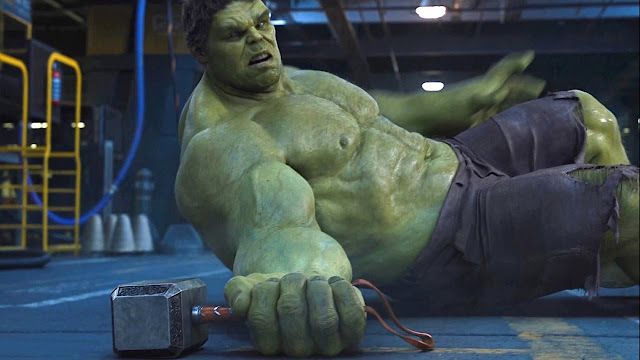 Unlike the Incredible Hulk, gamma rays are not green — lying as they do beyond the visible spectrum, gamma rays have no color at all that we can describe. Exactly how Bruce Banner survives his transformation is unclear. Just as high doses of X-rays are typically lethal, so too would an explosion of gamma rays kill the average person. Gamma rays can knock electrons around like a bowling ball would bowling pins. These charged particles can then disrupt any chemical bond they come across, wreaking havoc on the delicate chemical machinery of the cell and generating molecular fragments that can act as toxins. To put it gently, a gamma bomb in the real world would not turn Bruce Banner into the Incredible Hulk. Rather, it would likely quickly turn him into a corpse dead from radiation sickness, if not incinerating him instantly. Still, gamma rays can have medical applications — a medical device known as the gamma knife can kill tumors by aiming gamma rays at a patient's brain. In particular, GLAST could shed light on mysterious gamma ray bursts, which can unleash as much energy as our sun during its entire 10 billion year lifetime in anywhere from milliseconds to a minute or more. Just as the Incredible Hulk "is the strongest one there is," as he says himself, so too are gamma ray bursts the most powerful explosions known. Indeed, just as the Incredible Hulk is strong enough to destroy the entire planet, so too can a gamma ray burst kill life on this world. A "death star" was recently discovered that might one day explode with a gamma ray burst directed straight at us — although it might readily miss.